Auto accidents of all kinds can be very serious, causing life-changing injuries and even resulting in death. It's for this reason that people need to take these incidents seriously and speak with legal professionals as soon as they are able. By contacting personal injury attorneys, victims and their loved ones can seek justice and obtain damages to cover any injuries or losses. We'd like to focus on a particularly serious kind of auto accident right now: head-on auto accidents. Head-on auto accidents refer to motor vehicle collisions in which the fronts of two vehicles collide. This can happen between two moving vehicles or one moving vehicle and a stationary vehicle. Our personal injury law firm knows that these kinds of auto accidents can be especially serious since a great deal of force is generated by vehicles striking each other head on. When our car accident attorneys assess negligence in a motor vehicle collision, we will take the above causes in mind to determine who exactly was at fault. In serious accidents, a driver and/or passenger may be injured so badly that they experience paraplegia or quadriplegia. It is not uncommon for fatalities to be caused by head-on auto accidents. Should you lose a loved one as a result of a motor vehicle accident, our legal team will file a wrongful death lawsuit to help obtain compensation that will account for the tragic loss that you have experienced. The legal system is difficult for people to maneuver on their own. There are many nuances to existing laws, numerous legal precedents to consider, and other matters that people would not consider if they do not have the legal education. In addition to this, recovering from an auto accident or grieving the loss of a loved one can put a lot of strain on a person. This is enough of a burden, and the added stress of mounting a legal case should not be put on your shoulders. By contacting our legal team, you will be putting your case in more than capable hands. Our attorneys will fight diligently on your behalf each step of the way. 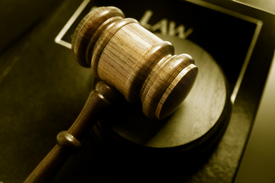 Our legal expertise will ensure tenacious representation that will hold the negligent party or parties responsible. This will give you peace of mind, allowing you to concentrate on the personal struggles ahead. For more information about all of your legal rights and what our legal team can do for you, be sure to contact our White Plains, NY personal injury lawyers today. Our entire firm looks forward to meeting you in person and helping you obtain just compensation and peace of mind in the progress.